KFH Group has recognized expertise in the intercity bus industry, including analysis of industry trends, regulatory issues and policy, linkages with rural public transportation, intermodal connectivity, accessibility, and facility and terminal assessment and improvement. 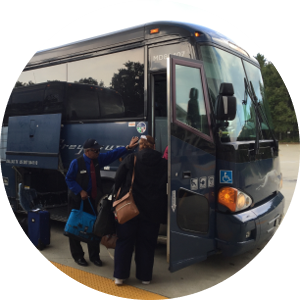 We have completed more than a dozen statewide intercity bus studies, as well as assisting private carriers. At the national level, KFH Group has led research projects for the American Bus Association, Greyhound Lines, the Office of Technology Assessment of the U.S. Congress, the U.S. Department of Transportation, and the Interstate Commerce Commission.